Fitzwater Tree and Lawn Care cleaned, mulched and pruned the landscaping at the entrance to Garst Museum for the Gathering at Garst. 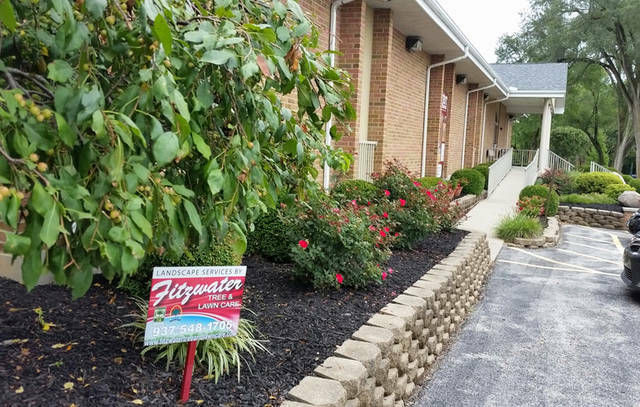 GREENVILLE – Garst Museum thanked Fitzwater Tree and Lawn Care for its continued support of The Gathering at Garst. Fitzwater cleaned, mulched and pruned the landscaping at the entrance to Garst Museum. The flower beds were pristine as the museum welcomed approximately 15,000 people to The Gathering at Garst, the annual July spectacular. The Garst Museum is located at 205 N. Broadway, Greenville. For more information, call 937-548-5250, email info@gatheringatgarst.comorvisit www.gatheringatgarst.com.